EOS has been appointed as a member of the European Innovation Partnership (EIP) on Raw Materials Operational Groups. 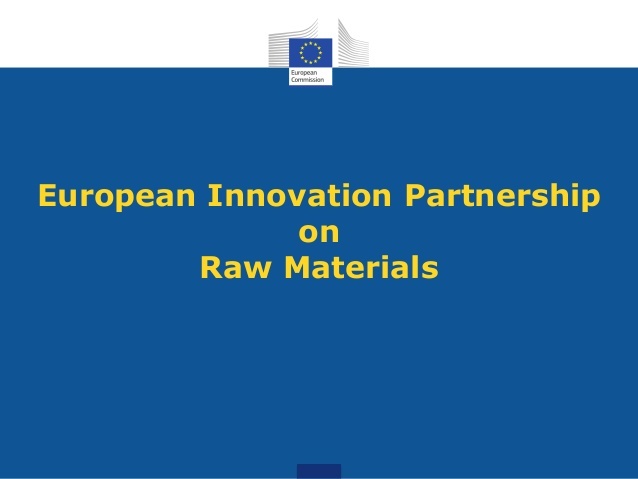 The European Innovation Partnership (EIP) on Raw Materials is a stakeholder platform that brings together representatives from industry, public services, academia and NGOs. Its mission is to provide high-level guidance to the European Commission, Members States and private actors on innovative approaches to the challenges related to raw materials. The call for applications to recruit new members for the second part of the EIP's mandate was very successful. DG GROW received more than 60 applications from private organisations for the High-Level Steering Group and more than 150 for the Operational Groups. The new High-Level Steering Group will consist of 54 members, including 19 Member States, 21 business representatives, 6 research organisations, 4 NGOs and 4 international institutions (OECD, EIB, UNEP and UNIDO). Almost all members are represented at the highest hierarchical level, including 13 Ministers of Secretaries of State, 11 CEOs or executive-level officers and 14 secretaries-general or equivalent. The new Operational Group will consist of 197 members, mostly from industry (65%) and Member States (35%). No applications were received from civil society. The new Operational Groups have not yet been divided in sub-groups per theme. It is expected that they will be convoked on an ad-hoc thematic basis. See the list of members in the official EIP website.